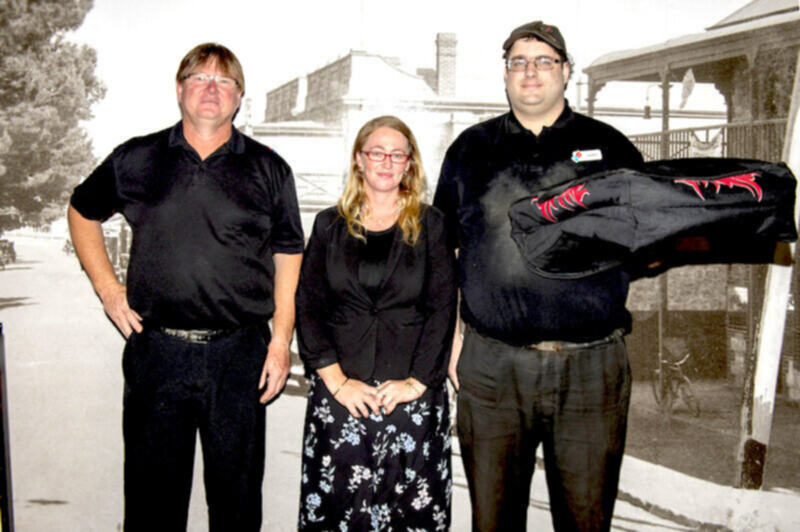 Andrew, who lives with Asperger Syndrome has been part of the WISE Employment Port Lincoln family for a decade. His first place of work was with Baldwin Plumbing in South Australia, where he also undertook a traineeship in Business Administration. After several years at Baldwin, the business was sold, and Andrew found himself reaching out to WISE Port Lincoln, in particular Business Manager Nadine, a constant, supportive person in his life. Understanding Andrew’s skills and the type of environment he would enjoy and excel in, Nadine assisted Andrew in obtaining employment. For Andrew the process of finding work again was a challenging one. “After losing my job, I found it difficult. It took four weeks to find the next job. I was applying for work and had many interviews that fell through due to employers seeking school-age apprentices. Whilst looking back at it now, it wasn’t a long wait between jobs but it felt longer at the time. I was relieved to have found Domino’s Pizza and enjoy working there” said Andrew. Five years in, Andrew continues to work at Domino’s Pizza today. With five shifts a week, he’s always happy to roll up his sleeves switching from a delivery driver to in-store support. Andrew delivers up to a dozen pizzas weekly, can help make pizzas, supports with food preparation and clean-up to serving customers, something that Andrew’s boss, Wayne appreciates. “Andrew is always on time, rarely has a day off and goes that extra mile in terms of notifying me of things that we need ahead of time. He’s also proactive, taking on extra roles to help the team – he’s one of the best employees. He’s always the one looking after me and the business,” said Wayne. Andrew loves to work, interacting with friendly staff and chatting to regular customers as part of his deliveries. His loyalty doesn’t go unnoticed and he is pleased that WISE Port Lincoln and Nadine continue to feel like friends that he can count on.